Make the most of our Wedding Packages with discounted exclusive use of the whole Castle! Make the most of the scenery and have your Wedding Breakfast in our Conservatory to enjoy the views and terraces overlooking the Country Park and Brecon Beacons. You can book exclusive use of both our Nicolini Lounge and our beautiful conservatory. Not only do you and your guests have freedom to roam the castle grounds, you may use the whole ground floor – including this exquisite banqueting room. 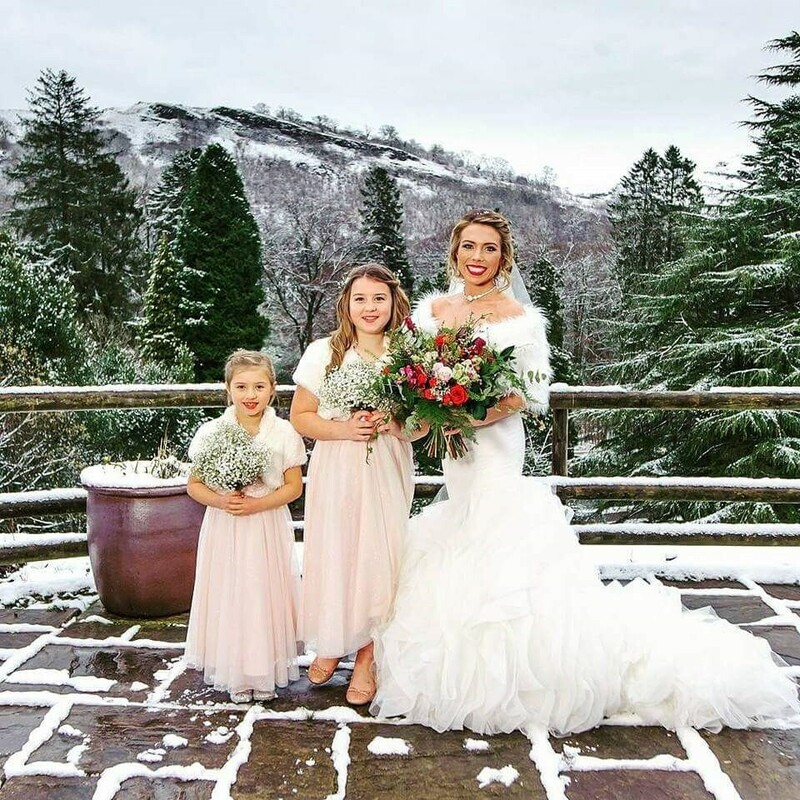 Breathtaking views of the surrounding grounds and a substantial outdoor terrace - enjoy the most romantic day of your life with a delectable wedding banquet overlooking some of the most scenic views in South Wales. 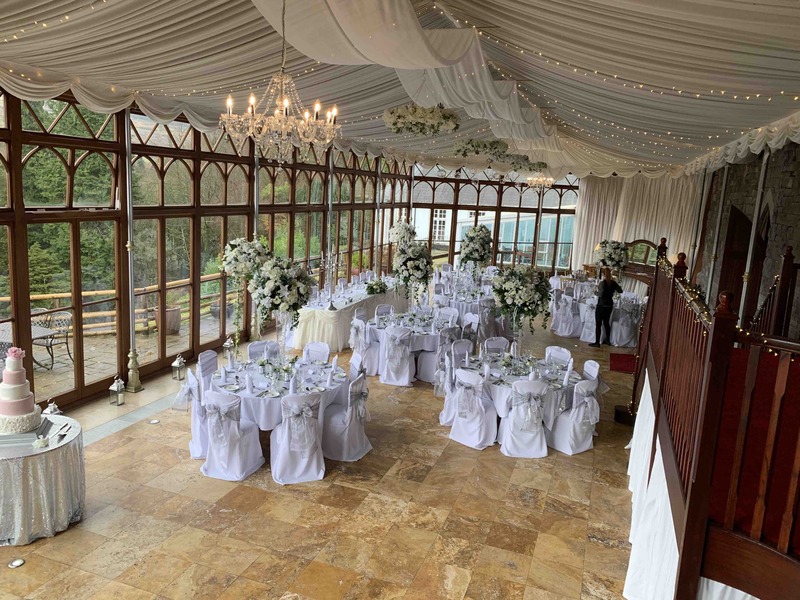 Under our Special Wedding Package you have discounted exclusive use of both the function room in the evening and the conservatory in the daytime for your wedding reception. 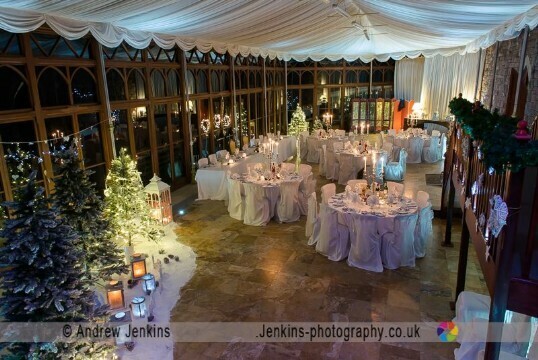 Most Wedding Venues in South Wales allow you to use only ONE function room for your entire wedding day. 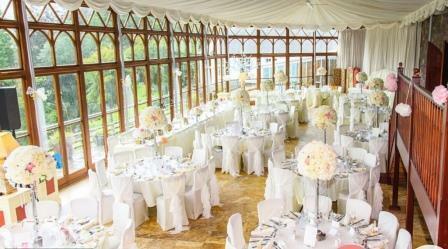 At Craig y Nos you and your guests can have the run of the entire ground floor for your wedding in Wales. Welcome Drinks are served in the Nicolini Lounge after your Ceremony in the Theatre. 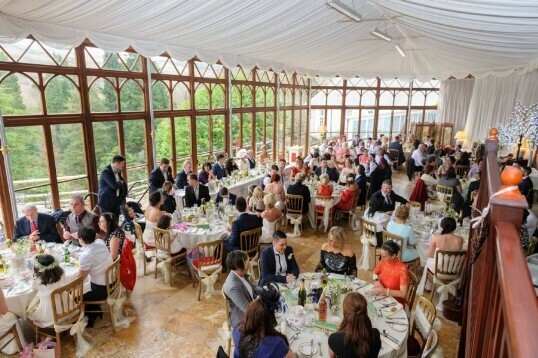 Move through to the Conservatory to dine, after your Wedding Photographs. 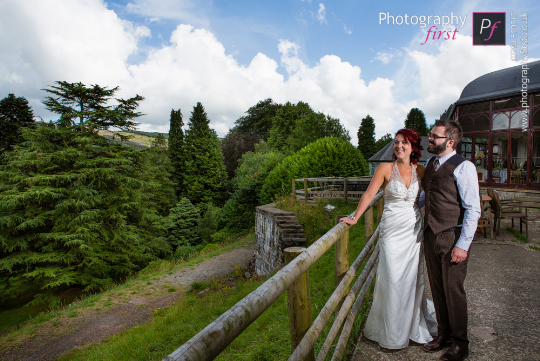 Have your wedding breakfast overlooking Wales' Brecon Beacons National Park. Move through to the main function room and Patti bar around 7.30 pm for your evening party and wedding buffet. so you will be Princess of the Castle for your special day! 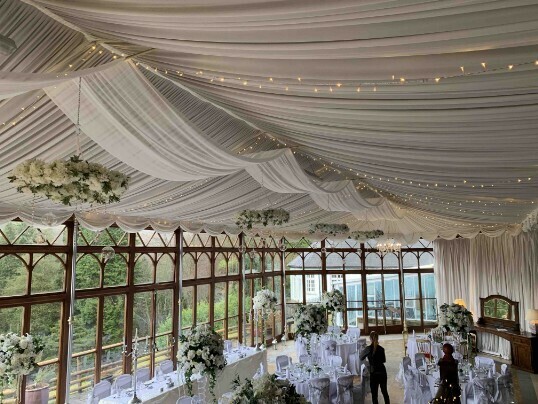 The conservatory overlooks the picturesque Brecon Beacons National Park. It will seat 130 guests, who in summer will also use the outdoor patio space with panoramic views of the surrounding mountain scenery. You’d be forgiven for assuming that the cost of a wedding menu would eat considerably into your budget. This is simply not the case at Craig y Nos Castle. With the option of a two or three course wedding menu, you’ll be pleasantly surprised by not just the first rate menu, but also by the most reasonable cost of your wedding banquet. 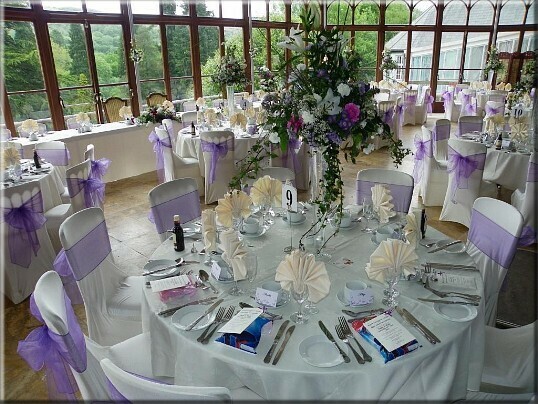 To give you some ideas for your own wedding, visit the conservatory slide show to see a comprehensive range of different table settings and colour themes. Should you have your own ideas on how you’d like the room to look then don’t hesitate to contact us; we’re happy to help you decorate our conservatory with the look and feel that you wish. 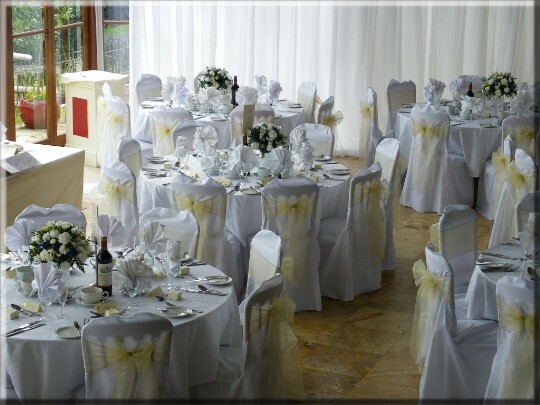 Under our Special Wedding Offer, you move through to the main function room for your evening wedding party. This prevents disco noise etc., affecting guests in the Atrium en-suites, which are above and adjacent to the Conservatory. You may switch rooms between 7.30 pm - 8.30 pm. 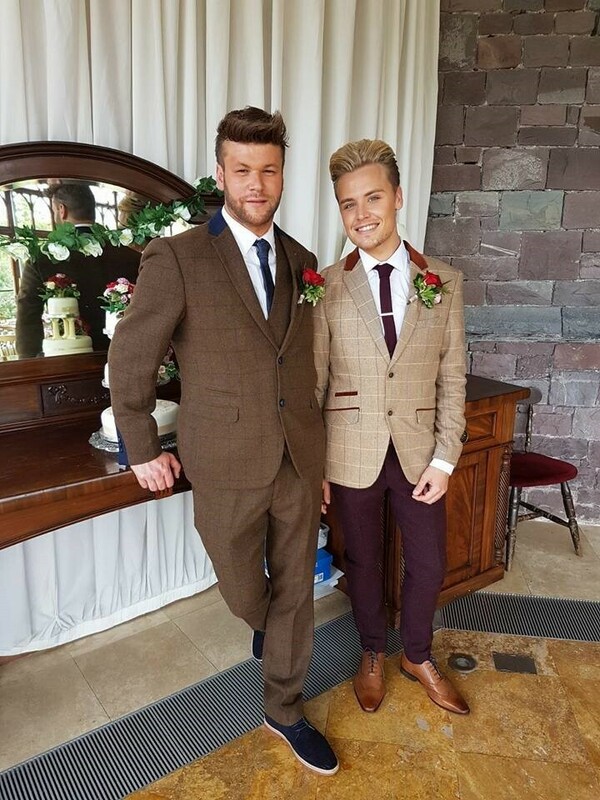 You may also arrange for your your DJ to set up in advance in the function room while you and your guests are enjoying the wedding breakfast and speeches in our Conservatory. This ensures the function room is readied for the evening do ahead of your guests entering. Your guests may move freely around the castle. children love running along all the corridors! Switching to the function room for the evening frees up the Conservatory for cleaning 9-10pm. 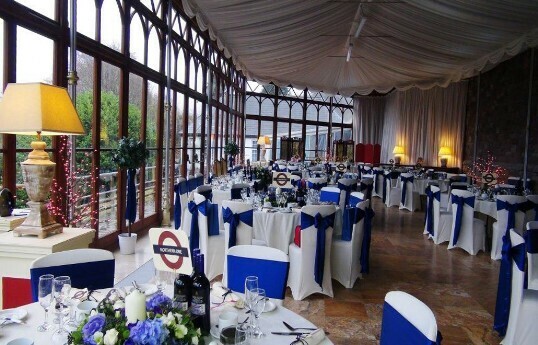 This also allows the next day's wedding to set up their tables in the Conservatory from 10pm the evening before their wedding. Similarly you can arrange to decorate your wedding reception tables the night before your wedding - even if there's a wedding the day before yours. Scroll through the Wedding Banquet room Slideshow - click on the picture on each to move to the next one, to view 70 or more different table setting options. Check different colour themes and different table decoration that other brides and grooms have used to get ideas and inspiration for your own wedding. Many wedding venues charge a fortune for the wedding breakfast but fall short on either quantity or quality. That is not something that happens at Craig y Nos. Portions are generous to a fault and the quality of the wedding breakfast is consistently praised by wedding guests. 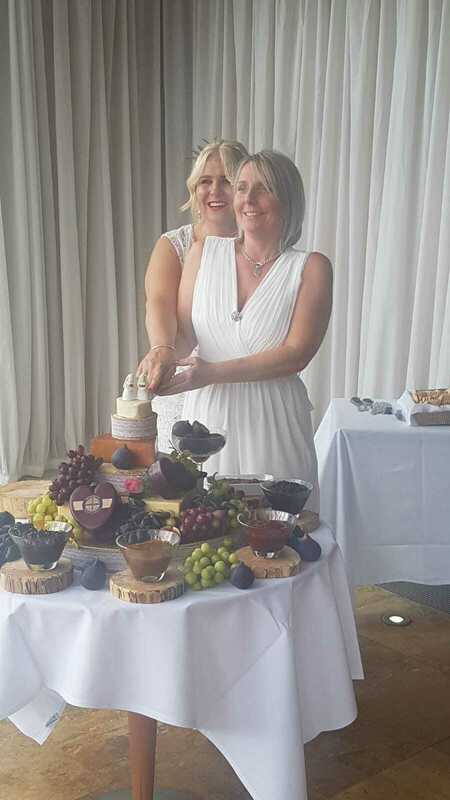 The Special Wedding Package includes a 2 course Wedding Breakfast. See the standard Wedding Breakfast here. A third course can be added for £7/head, though some couples opt to use their wedding cake as the third course for £4.00 head (topped with cream and served with ice cream). Or you can upgrade to the a la carte three course Superior Wedding Breakfast. 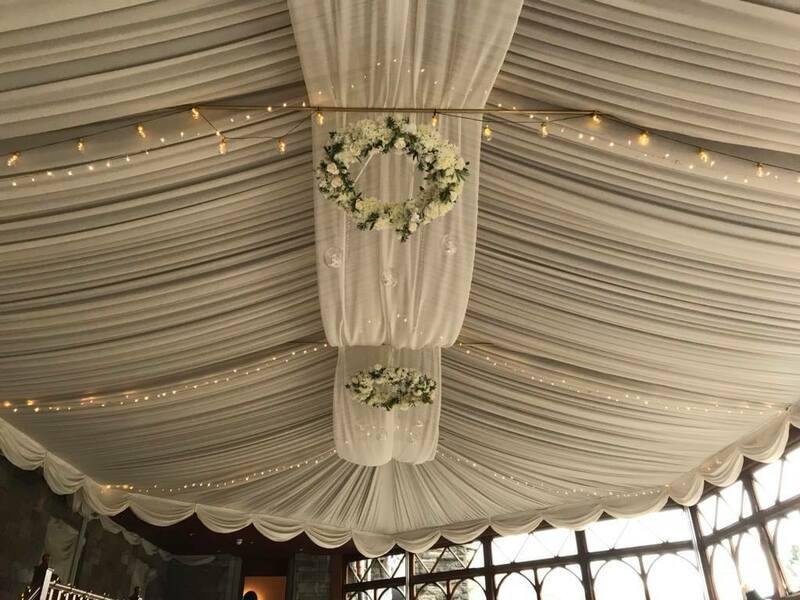 The ceiling canopy of the Conservatory has had a makeover (Jan 2019) so we will add some more pictures soon. See Conservatory in different colours on our Colour Pages - starting here. Seating Capacity: 130 Comfortably seats 120 guests (on up to twelve round tables of 10 each, with the remainder on your Head Table).